In December 2015 DUKE began showing signs of post distemper myelopathy. He can’t walk — most dogs will not recover. But where there is hope there is a way. 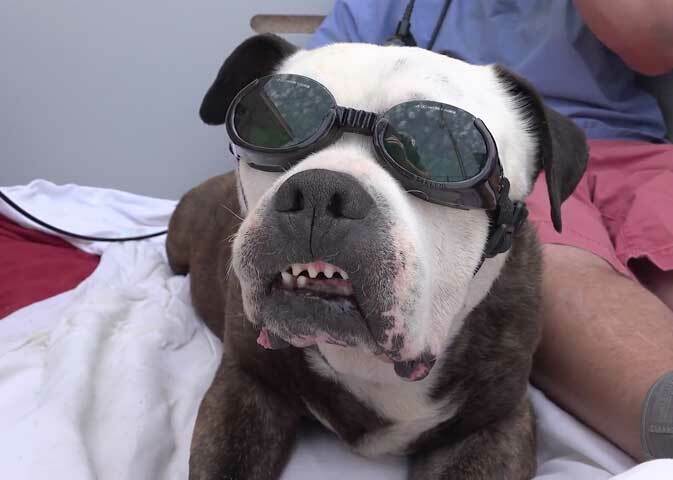 DUKE started on cutting edge Cold Laser Therapy in April 2016. This cold laser treatment stimulates healthy cell growth. And Whirlpool Therapy to build muscle. The on-site vet tracks his progress daily. The days are long and the treatments are tiring, but today DUKE is walking. D.E.L.T.A Rescue has been saving animals like DUKE for over 35 years. We are a No Kill Care-For-Life Sanctuary for abandoned animals. 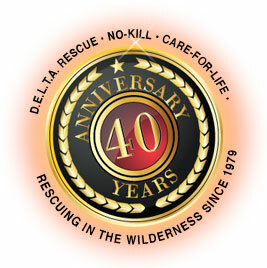 We started in 1981 with one Mission: Save Abandoned Animals. A full Veterinary staff ensures that every animal is cared for. 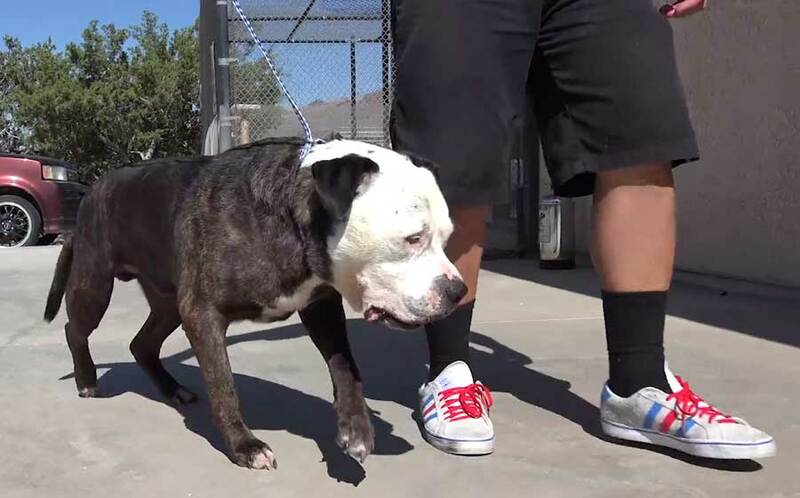 No animal at D.E.L.T.A Rescue has ever been put down for cost. As a non-profit we rely solely on donor support. Please help us keep this facility going for years to come. ‹ These angels have an amazing ability to blossom when they get proper food, medical care. . . and love.